Army green ripstop with neon straps. 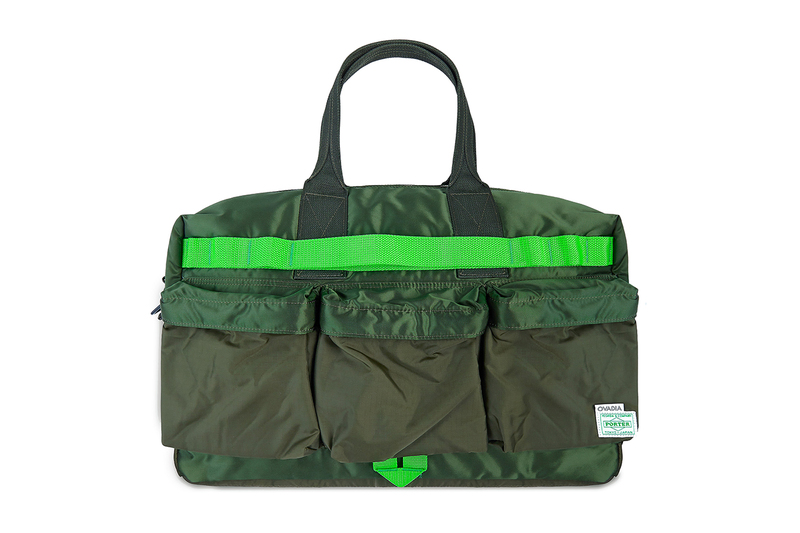 New York’s Ovadia & Sons links with Japanese accessory experts PORTER for a concise array of military-indebted bags for Spring/Summer 2019. Sporting army green ripstop fabric, a slight revision to PORTER’s signature “Sage Green” hue, each bag is outfitted with bright webbing, a playful twist on militaristic inspiration. White zipper tape adds a contemporary touch to the waist bag, shoulder bag, backpack and weekender, while D-rings, adjustable straps and deep pockets ensure maximum functionality. Look for the elevated PORTER bags to drop via Ovadia & Sons’ web store and stockists on February 12. In the meantie, view Ovadia & Sons’ Fall 2019 collaboration with PORTER below. Meanwhile, PORTER’s HEAD PORTER sub-label recently debuted its final capsule collection. Look 27 from Fall 2019. View the full collection now on the site. Louis Vuitton's Summer 2019 Bag Collection Celebrates the "Spirit of Travel"
Pouya & Boobie Lootaveli Announce 'Greatest Hits Vol. 3' Project & Drop "Pe$os"
The Buffet Boys are planning to drop a joint album. The Miami-inspired runners are nearly here. Blue collar gear suited for urban life. Using a video of Cardi B giving birth. To present a new body of work at LA’s Giant Robot.